The opening sequence presents both characters setting the scene for a drama that would take place between them: a window glass that separates them, they are of different ages and social status; all that they can do is watching and being watched. In a precise structure of the sixth film of The Decalogue three parts, most of the same length, can be distinguished: in the first the woman is seen from Tomek’s viewpoint, separated by window glasses and the lens of a telescope, only seemingly coming closer. The middle part consists of their meetings: a love-struck young man confesses to his spying on her, tells her he loves her but he expects nothing. The third part is shown from the point of view of the woman: now she starts to search for the young man and discovers that love which is not equal only to physiological satisfaction exists. 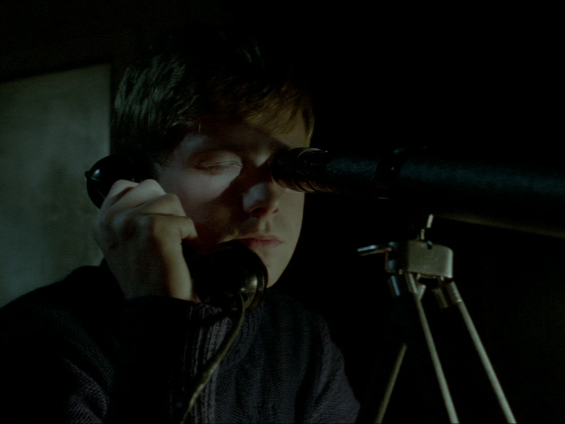 The film, if watched carelessly, may seem to be just a story about a peeper: however, it is worth to notice how Tomek does not look at his attractive neighbour. Only a few minutes before the end we learn her name: Magda (Magdalene), referring to the established culturally stereotype of a sinful woman. 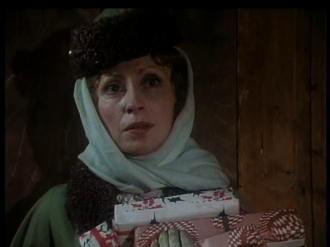 In the Gospel she became a reformed woman that changed due to the meeting with Christ; in Kieślowski’s film the transformation of Magda takes place thanks to Tomek and his unselfish love. 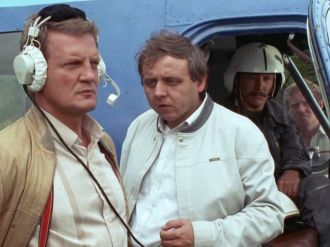 The film emphasises it using the symbols taken from the Gospel: a price paid by Tomek for Magda’s liberation is climbing the Golgotha with a company of a man wearing a white coat (Artur Barciś). 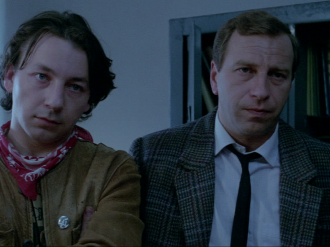 A Short Film About Love, a feature version of The Decalogue, Six is even more obvious and finishes more optimistically.